"I don't know if you guys get told enough how great you are. This is what I call the ultimate customer support and service. Which is so hard to come by these days. Thank you for everything!" "Time-saving site, easy drive website with features for all occasions, making recipients excited." "While planning a small community event, we needed a cost effective way to get an invitation out that included the ability to purchase tickets to the event. Your website fit the bill perfectly! You provided us with a user-friendly system, at an affordable price, and now we can manage responses and tickets sales all online! Wonderful service which we will be using again!" 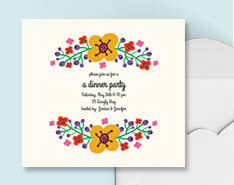 "Sendo Invitations are super easy to use, great designs, wonderful product priced just right!" "I can’t thank you enough. The quick response and your immediate assistance is so impressive and highly appreciated." "Perfect invitations for our small, intimate wedding! Easy to create, many invite options, plus extras like map & weather add-ons, additional details fields and you can even send reminders & texts! Very, very happy!" “i’ve been fiddling with evite, punchbowl, etc for days and couldn’t find a way to add multiple events – this site is great! very excited to have found it!” Robin H.
“I just wanted to take a moment to thank you for your service. I absolutly Love how easy you have made planning parties! All of my friends and family thought it was awesome to see who was coming, and who wasn’t! We we all really appreciate such a simple yet brilliant service. Thank you Sendomatic People!” Shannon C.
Do you have a success story? Please send it to us! Thanks for using Sendo Invitations!